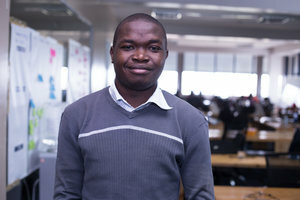 Gilbert has served as an Analyst at Busara since May 2017. He has worked on various engagements and has a vast field management experience from his current and previous roles at Busara, as a Senior Field Officer, and at Innovations for Poverty Action. He has a particular interest in behavioral economics and how it can be used to empower people for the ultimate goal of poverty alleviation. Gilbert holds a B. Sc in Mathematics (Statistics Major) from Jomo Kenyatta University of Agriculture and Technology.